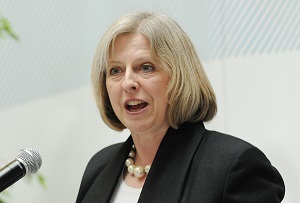 The Home Secretary had wanted to make overseas students return home before applying to work in the UK. George Osborne has cancelled plans by the home secretary, Theresa May, to kick out international students as soon as they graduate, after warnings from business and universities. Immigration has been a divisive issue within the coalition, both between and within the two governing parties. Facing a challenge from UKIP, the Conservatives have been driven to take a harder line against migrants, something which some more business-friendly MPs have not been happy with. The tension between May and Osborne is also part of a pre-election show of force ahead of a potential leadership contest if David Cameron should lose his job in May. Osborne is seen as a more liberal Tory in the mould of the Cameron, whereas May's hard-line stances on crime and immigration have curried favour with the party's more right-wing members. Away from the political infighting, employers like James Dyson will just be relieved that their battle to find the best talent isn't about to get even more difficult.